In a letter to the state's health agency on Monday, Gov. Rick Perry laid out his plan to request a federal waiver to reform Medicaid as Texas sees fit — without expanding eligibility. Gov. Rick Perry is preparing for yet another battle in his war against Obamacare. In a letter to the state's health agency on Monday, the governor laid out his plan to request a federal waiver to reform Medicaid as Texas sees fit — without expanding eligibility. Instead, Perry has asked that the agency request flexibility in the form of a block grant — a fixed amount of money, rather than matching dollars for Medicaid services — from the federal government to fundamentally reform Medicaid. Specifically, Perry requested that the agency seek a waiver that allows the state to make changes to the program without receiving federal approval, continue asset and resource testing to determine eligibility, and initiate cost-sharing initiatives, such as co-payments, premiums and deductibles, among other reforms. The waiver “should give Texas the flexibility to transform our program into one that encourages personal responsibility, reduces dependence on the government, reins in program cost growth and efficiently improves coordination of care,” Perry wrote. The conservative Texas Public Policy Foundation laid out a similar plan to reform Medicaid with a block grant during the 83rd legislative session. Some Republican lawmakers also included similar provisions in a proposal to reform and expand Medicaid eligibility to include impoverished adults, a measure that failed to receive legislative approval. 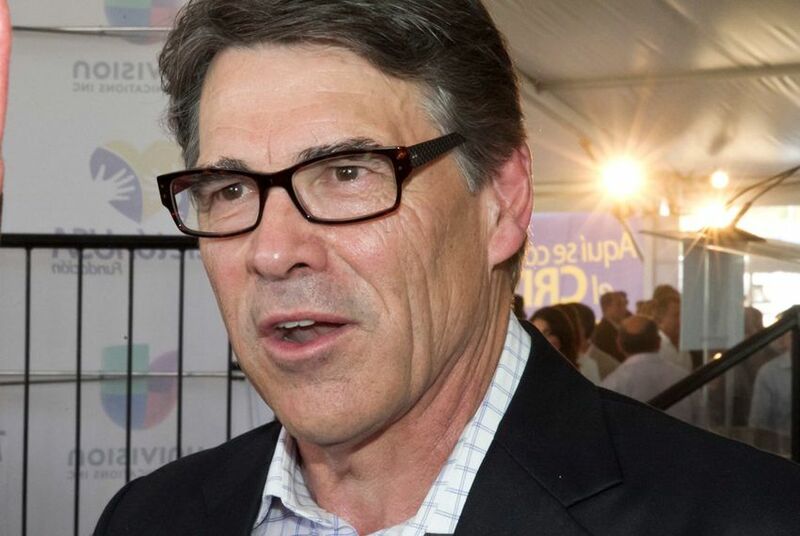 Neither Perry nor TPPF endorsed that proposal. In the current system, Texas receives roughly $60 in federal matching funds for every $40 the state spends on Medicaid services. If Texas reached an agreement with the federal government to finance Medicaid through a block grant, the state would receive a predetermined amount of federal financing to run the program. By comparison, if the state expanded Medicaid under the federal Affordable Care Act, the federal government would cover 100 percent of Medicaid expansion enrollees' health care services for three years, then slowly reduce the matching rate to 90 percent. In a second letter sent to HHSC on Monday, Perry requested that the agency develop a mechanism to continue collecting and analyzing income, asset and resource information on Texans who apply for Medicaid benefits. That's despite a provision in the Affordable Care Act — one that takes effect on Jan. 1 — that requires the state to stop asset testing to determine Medicaid eligibility. Conservatives argue that asset testing is essential to prevent Medicaid beneficiaries from hiding their assets, such as cars or a large home, in order to qualify. But health care and social welfare advocates argue that asset testing contributes to the cycle of poverty, because the moment people earn enough money to cover transportation or a home, their health benefits are knocked out from under them. The rule change has presented a problem for Texas. Although the state won’t stop asset testing until the rule takes effect on Jan. 1, the federal government plans to roll out an online marketplace on Oct. 1 to help Texans figure out if they qualify for Medicaid and shop for health plans. If an applicant enters their financial information on the federal website and finds out that they qualify for Medicaid, the applicant would still need to send additional information on his or her assets to the state until January.